Formulated for dairy and food processing industry. Removes mineral deposits like milkstone and beerstone from stainless steel, and other acid resistant surfaces. 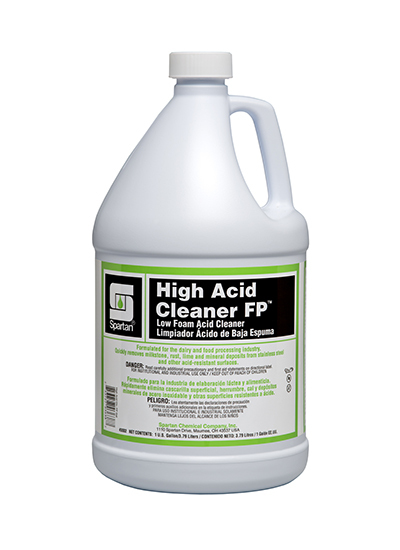 Low foaming, with complete rinsability, High Acid Cleaner FP is an excellent product for CIP cleaning and neutralizing applications. Assists dairies in compliance with the grade "A" Pasteurized Milk Ordinance.